If it ain't broke, don't fix it. As I continue to upgrade my wardrobe piece by piece, there are a few that I'll hold on to (until they fall apart) regardless of where they came from. This skirt (which I swear is navy) is one of those things (it was $8 from Forever 21). It's just a piece of jersey material sewn in the vague shape of a pencil skirt (which I kept getting tangled in every time I went to the bathroom today). But it's comfortable to sit in all day and looks pretty darn professional for something that was probably a pillowcase in its former life. No, these shoes are not comfortable. Always keep flats at your desk. Look! Bow belt, bow bag. So matchy. These earrings are awesome. First Lady in the front, last lady out of the clurb in the back. And my hair is thrown into my half-hearted attempt at a messy chignon after seeing this Birchbox video yesterday. 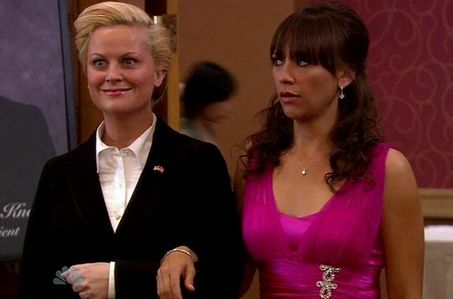 I figured out halfway through the day that I had "Leslie Knope Man Hair." Parks & Rec fans, YOU know. Top, Theory (similar from same). Skirt, Forever 21 (similar from Target). 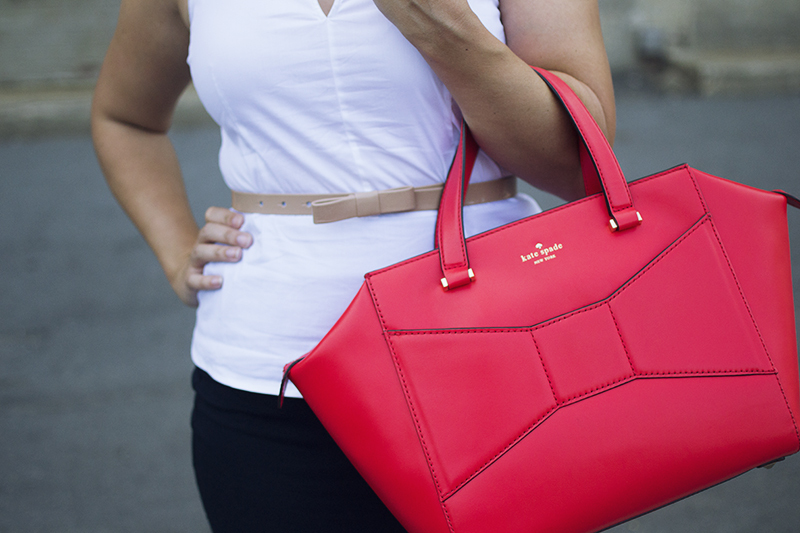 Bag, Kate Spade Beau Bag (exact in other colors - wait for mega sale).